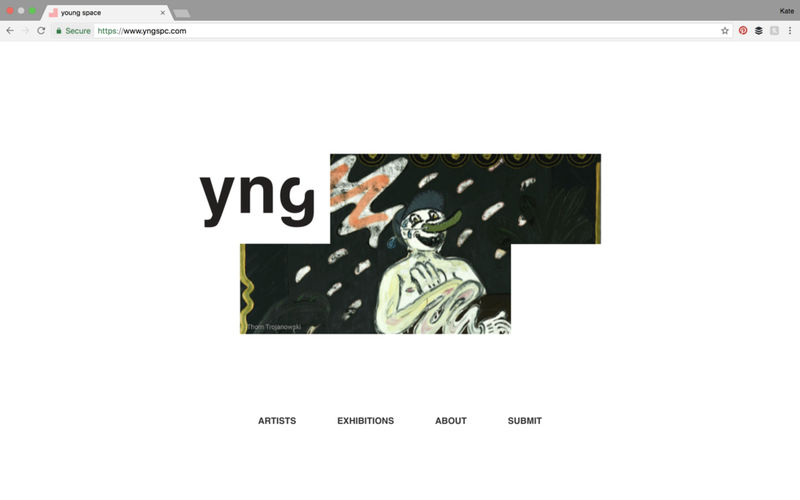 Young Space (yngspc.com) is a blog and nomadic project platform with a mission to support and collaborate with emerging contemporary artists, students, and the community by engaging in meaningful dialogue through unique content and projects. April 2019. Curatorial Residency at PADA Studios, Barreira (Lisbon), Portugal. May 16 - June 5, 2019. Wolves by the Road, Assembly House, Leeds, UK. June 8-9, 2019. Young Space exhibition, Morgan Fine Arts Building, Greenpoint Open Studios, Brooklyn, NY. June 15 - August 24, 2019. Run Straight Through, Torrance Art Museum, Torrance, CA. September 2019. Justin Liam O’Brien, Colin Radcliffe and Mark Zubrovich, Real Tinsel, Milwaukee, WI. September 2019. TBA, Usable Space, Milwaukee, WI. October 18 - November 23. Mateusz von Motz at Real Tinsel, Milwaukee, WI.